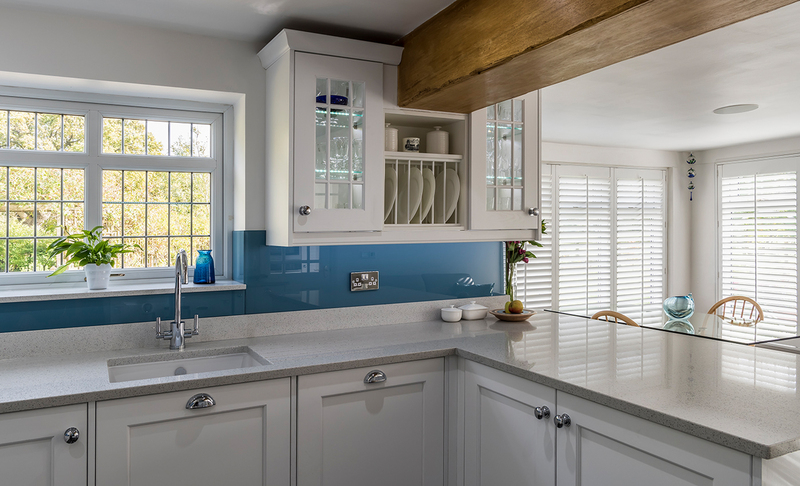 Mark and Jane from North Somerset wanted to brighten up the kitchen in their beautiful home which leads directly out to the garden. 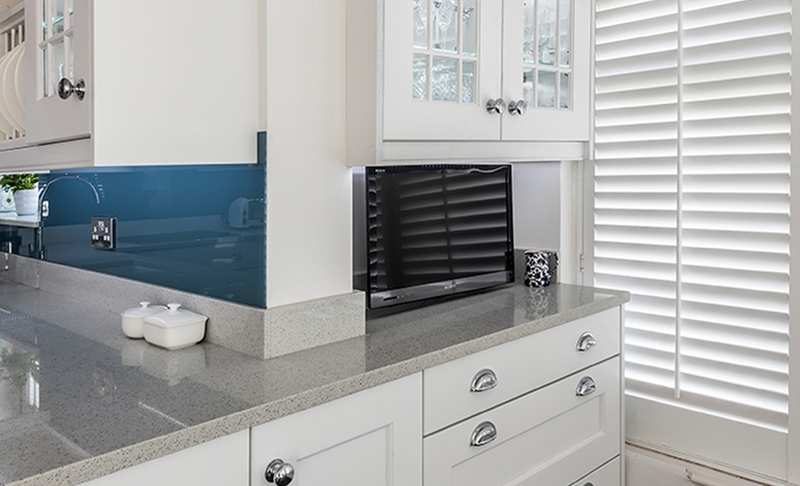 Stunning Wakefield doors in white were chosen to compliment the dark grey floor tiles and glass splashbacks. 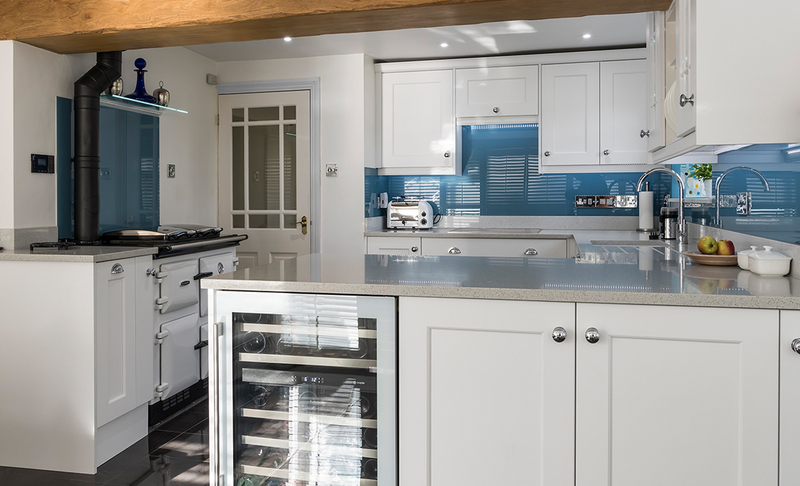 Glazed doors to show the glass collection and Miele appliances were chosen throughout with a stunning new Rayburn. 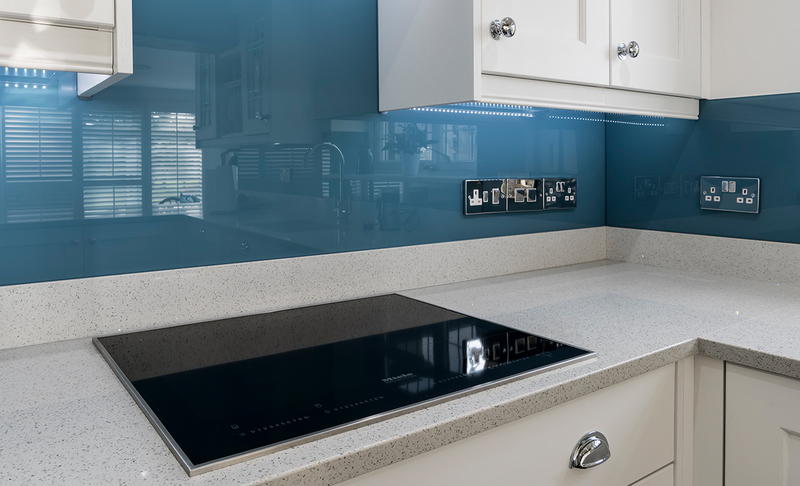 Gary and Rosanna from North Somerset wanted to replace there existing kitchen with something that embraced their taste in beautiful interiors.